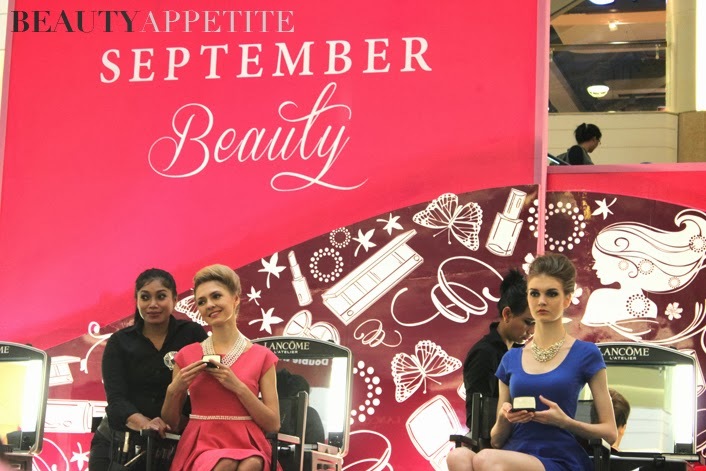 I was invited to join Lancôme Hypnôse Eyeshadow Palette launching event last weekend on 14th September. I was really excited, because I love Lancôme's eyeshadow, they're always pigmented, has wide range of beautiful shades, luxurious packaging and all. So I'm pretty curious about this new Hypnôse Eyeshadow Palette. These are the 12 Hypnôse Eyeshadow Palettes, every palette is beautiful, has amazing opacity, everything of what you'd expected from Lancôme. 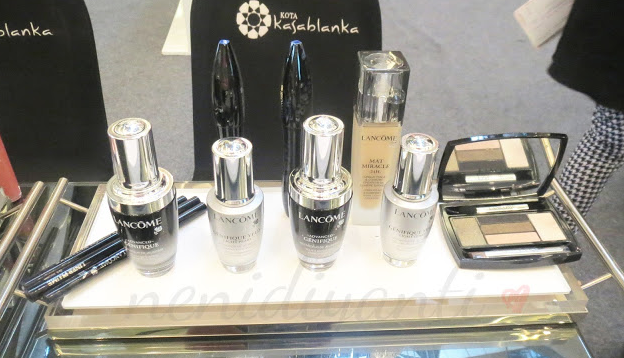 Lancôme has three version of eye make up result, Doll Eyes, Star Eyes and Drama Eyes, that you can choose based on what you need, from natural look, day look, night look, you name it! 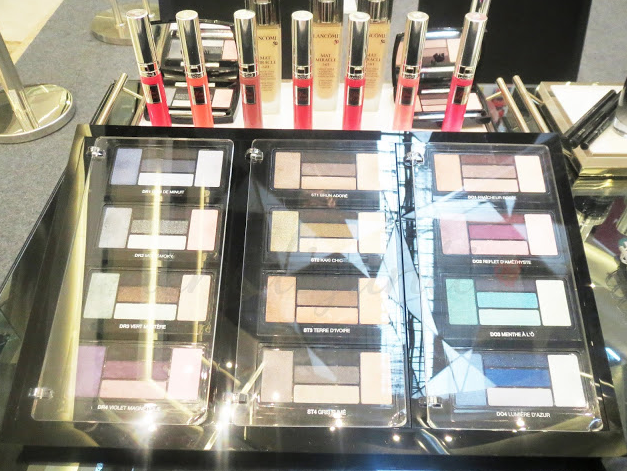 They also showed Gloss in Love, and Mat Miracle Foundation, some recommended products behind the palettes. And lots of skincare products to try on! I couldn't stop swatch all the eyeshadow, try out the skincare and lip glosses and foundation, well practically everything. One of the amazing thing on earth, the applicator from the palette is magnetic!!  It is the first, and the only one in the market, and I believe there will be lots of brands follow this genius idea. So you don't have to worry of losing your applicator, perfect for traveling so you don't have to bring lots of brushes, because I also love to travel light. The packaging is fabulous yet sturdy, a very high quality packaging. And the second amazing thing is you can use this eyeshadow whether in dry or wet application, WHAT?! Yes my dear, you can use it wet for more intense look. All you have to do is wet your cotton pad, then pat your brush or applicator to the wet cotton pad (do not to wet your entire brush with tap water) and after that apply the eyeshadow to your eyelids as usual, with this step, you can also use eyeliner brush to line your eyes, so this palette can works as eyeshadow and eyeliner! 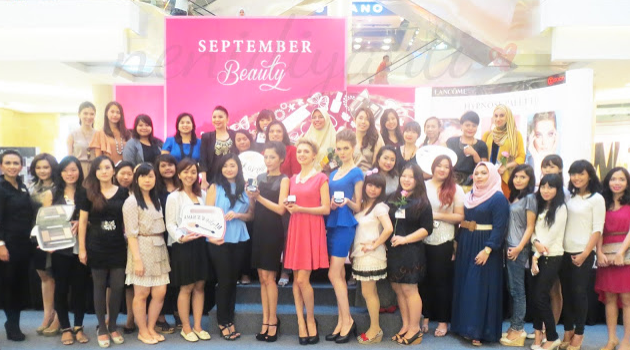 Lancôme team, the models, blogger friends and I at the event. I really had fun! 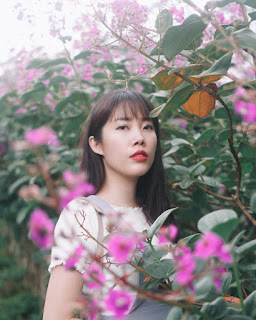 These five photos above are actually Neni's from Neni Diyanti's Blog, who's kind enough to let me copy the photos, thank you love!! :) And pictures below are the ones which I took with my camera. 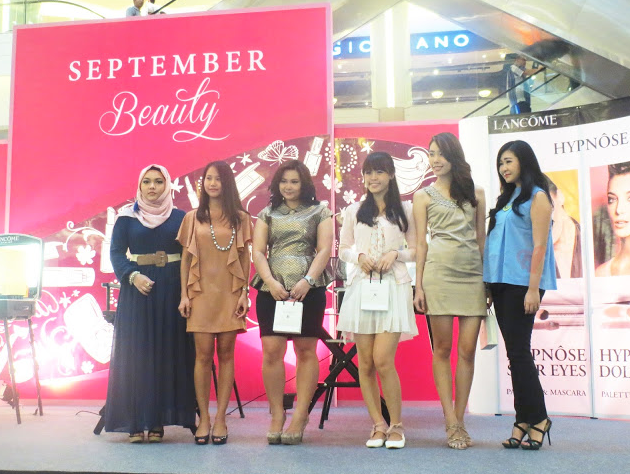 Lancôme provided three models to do a demo makeup show with three looks, Doll, Star and Drama. The eye makeups are amazing! I love the color payoff, I love all the looks, I feel like buying all of the palettes, each palette cost IDR 650.000, and you get 5 pretty & opaque colors, definitely worth it! They also had a fashion show, after the demo makeup was finished. All of them are gorgeous, all of them had different look representing Doll Eyes, Star Eyes and Drama Eyes. 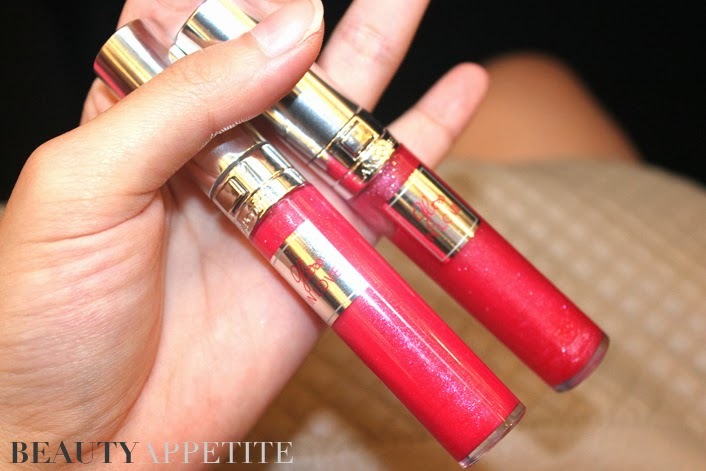 All of us get a chance to bring 'Gloss in Love' home, and this is my current favorite lip gloss! Intense review for this lip gloss will be posted separately.